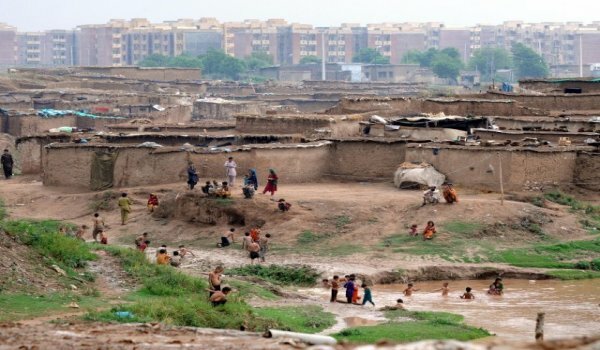 Islamabad – With the help of Interior Ministry, Islamabad Police and Islamabad Administration, the Capital Development Authority (CDA) has given final approval for demolishing 12 Kachi Abadis in the capital. ‘Operation Cleanup’ will start from 24th March, 2014, from the slums in sector I-11, Islamabad. During the second phase of the operation, slums in other sectors of Islamabad will be razed. According to sources, the Capital Development Authority demolished about 85% Kachi Abadis in I-11 on 5th January, 2013, but due to delays in retrieving the land, Kachi Abadis mushroomed again in the area. On the other hand, slum dwellers in sector I-11 have said that they will not allow the authorities to undertake ‘Operation Cleanup’. They have also said that they will not leave the area until they are given an alternative place to live.